As the flood waters rise in Texas and Louisiana, so does the need for assistance from our very own union family. The area affected is home to thousands of IAM members who face a near future of chaos and uncertainty. One way you can help make their lives a little more stable is by donating to the IAM Disaster Relief Fund. 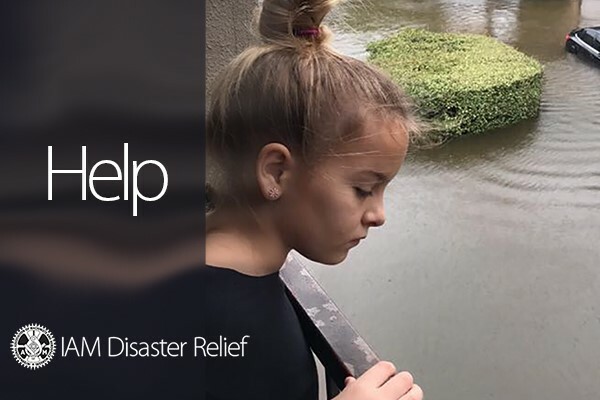 The Disaster Relief Fund is able to provide financial assistance to IAM members quickly, before most monetary relief efforts can react, putting money in the hands of IAM members when they need it most. Donate to the IAM Relief Fund Now!